For further reading on equine strangles consult the American Association of Equine Practitioners. Am J Vet Res 2009:70:640–647 Assessment of clotrimazole gels for in vitro stability and in vivo retention in the frontal sinus of dogs. Click here to access the PubMed abstract of this article. Metronidazole is effective against a variety of obligate anaerobic bacteria as well as anaerobic protozoa such as Giardia and Trichomonas. 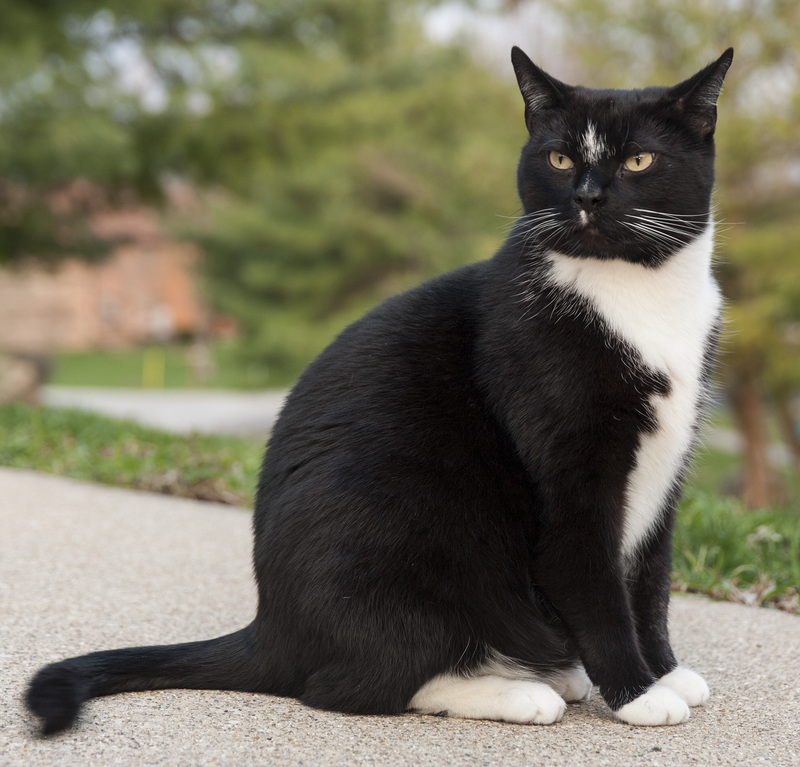 "Various salts of metronidazole with improved palatability are now available for veterinary patients... Cats and birds accept the benzoate salt much more willingly than they accept metronidazole HCl and do not seem to be stressed by its administration." Metronidazole should be used with caution in patients with hepatic dysfunction. Therapy should be promptly discontinued if abnormal neurological signs appear, including nystagmus, ataxia, seizures, and rigidity. All benzene moieties must be conjugated with glucuronide to facilitate elimination and this pathway is inefficient in cats. Therefore, doses of metronidazole benzoate above 200 mg/kg/day may produce signs of cumulative toxicity in cats within 48 to 72 hours. Patient: One year old non-castrated short-haired male cat with abscess from wound received in fight. The owner reported that the cat, who is usually affectionate and friendly toward the owner and house dog, had been withdrawn, on guard, and growling for approximately three days. A thorn-like projection near the tail was found by the owner, who immediately took the cat to the veterinarian. The cat was anesthetized and the veterinarian cleaned, debrided, and shaved the area of the wound, and prescribed amoxicillin 100 mg daily for ten days. The owner was instructed to keep the cat inside for the duration of therapy, to minimize the risk of superinfection and avoid additional injury. Medication Problem: The cat refused to take liquids, and was also resistant to taking tablets ("pilling"). The required dose of antibiotic was too high for transdermal treatment (due to the amount of gel that would need to be applied for each dose). J Am Vet Med Assoc 1998 Aug 15;213(4):501-6 Comparison of topical administration of clotrimazole through surgically placed versus nonsurgically placed catheters for treatment of nasal aspergillosis in dogs: 60 cases (1990-1996). Click here to access the PubMed abstract of this article. J Am Anim Hosp Assoc 1998 Nov-Dec;34(6):487-92 Management of nasal aspergillosis in a dog with a single, noninvasive intranasal infusion of clotrimazole. Click here to access the PubMed abstract of this article. is a form of erythromycin with improved action against gram-negative organisms, resistance to acid degradation, improved tissue penetration, and a prolonged elimination half-life. Azithromycin shows potential for use in veterinary medicine, particularly in cats and certain avian and exotic species. "Lacking the prokinetic action of erythromycin, azithromycin appears to cause fewer GI side effects and is generally well tolerated after oral administration. Cats appear to tolerate the drug particularly well... Animals with a history of arrhythmias should be monitored while receiving the drug. Some reduction in dose may be warranted in patients with hepatic or biliary dysfunction, although no reduction appears necessary in patients with renal dysfunction." Please consult our compounding pharmacist regarding dosing. Am J Vet Res 2001 Dec;62(12):1870-5 Pharmacokinetics of azithromycin and concentration in body fluids and bronchoalveolar cells in foals. Click here to access the PubMed abstract of this article. The ocular signs of feline herpesvirus I (FHV-1) infection include bilateral conjunctivitis, serous ocular discharge which may become mucoid or mucopurulent, and blepharospasm. If corneal involvement is present, topical antivirals are prescribed. Research indicates that idoxuridine is effective against FHV-1. Prolonged contact with the infected tissue is required. The 0.1% solution must be applied five times daily. Previously marketed as Stoxil�, the ophthalmic solution is not commercially available at this time. Am J Vet Res 1989 Jan;50(1):158-60 In vitro susceptibility of feline herpesvirus-1 to vidarabine, idoxuridine, trifluridine, acyclovir, or bromovinyldeoxyuridine. Click here to access the PubMed abstract of this article. "The anterior uveitis seen in cats with a positive serum titer to Toxoplasma gondii may result from immune-mediated mechanisms and not the presence or replication of the organism itself. As a result, it is unclear whether systemic antitoxoplasmic therapy is beneficial in these cases." Michael G. Davidson, DVM, of North Carolina State University, College of Veterinary Medicine reports in Vet Clin N Amer, Sep 2000, that he "usually treats cats with ocular lesions and concurrent systemic findings of toxoplasmosis with systemic clindamycin (12.5 mg/kg PO twice daily for 14-21 days) and anti-inflammatory therapy. Other sources recommend clindamycin 10-12.5 mg/kg every 12 hours for 4 weeks. Oral trimethoprim-sulfonamide combination therapy (15 mg/kg every 12 hours for 2 to 4 weeks) can also be used to treat toxoplasmosis but is less suitable because of potential side effects caused by folic acid deficiency in cats.2 In T gondii seropositive cats exhibiting anterior uveitis alone and with no systemic signs, Dr. Davidson recommends topical steroids and atropine alone. If the cat fails to respond to topical therapy alone within 1-3 weeks, systemic clindamycin should be added to the treatment regimen. The rationale for the use of corticosteroids is to suppress the damaging inflammation in the retina, which may affect vision. Corticosteroids are typically administered 1-2 days after antibiotic therapy has been initiated to allow adequate tissue levels of the antimicrobial agent to be achieved. [Dr. Davidson] does not recommend systemic steroids in cats with suspected ocular toxoplasmosis because of the risk of exacerbating systemic replication of T gondii." Swift and aggressive treatment of uveitis is necessary to avoid such secondary complications as glaucoma, cataract formation, and retinal degeneration or detachment.